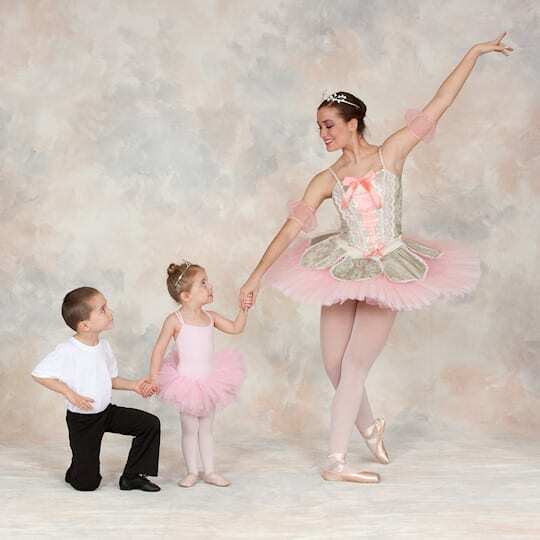 The Beth Fowler School of Dance is known for developing dancers to professional level and offers structured dance programs from beginning levels (starting at age 3) through professional. Most of these company-level dancers started out in an entry level program Fowler developed more than 20 years ago. This class, titled “Creative Dance,” is for children from the ages of 3-6. In this specialized program Beth strives to capture the full attention of each child as she educates and entertains at the same time. The Creative Dance program teaches young dancers an impressive amount of quality dance and technique quickly, with everything presented in an exciting and creative way. Poor technique is habit forming and can be difficult to change. So a good start with good habits is important right at the very beginning. Fowler believes that children progress best when a class does not have mixed ages. For that reason, each Creative Dance class has only one age present. 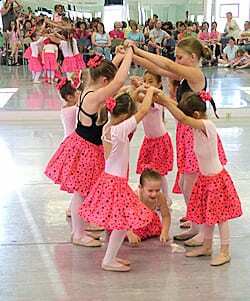 Dancers starting at age seven experience Ballet, Jazz/Hip Hop, Tap and Lyrical. The studio also has a large all-boys program. Discounts are given to dancers taking multiple dance classes so they can benefit from taking a full class in each dance form. Family discounts are also available. These programs are offered to beginning through professional level for boys and girls. All dancers have performing opportunities in our dance productions. Costumes are provided. Beautiful 8,000 square foot facility!